provalije i družeći sa dinosaurusima izbliza. KUĆA SE GRADI DA POSTANE DOM. a zabeležena je fenomenalna prodaja CRH proizvoda. brend menadžera iz 10 zemalja. viralan u 4 zemlje regiona. Zaječarsko crno – od ideje do implemetacije. When we read between the lines, we see new space. We go a step beyond the obvious. This is why this new space is before you. This is a BUSINESS KIT, as we see it. See how we organized it for you. BTL means Between The Lines and not only Below The Line. And that is why we believe we can do anything. 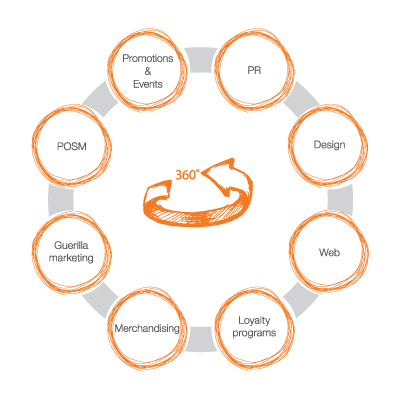 This is also how we see the 360 degrees of marketing.